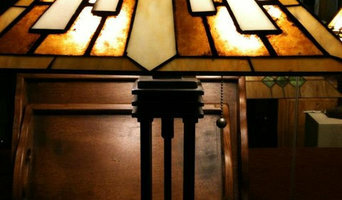 With have over 14 years of experience in Antique and Vintage Lighting, making us one of the leading authorities in the San Francisco bay area. 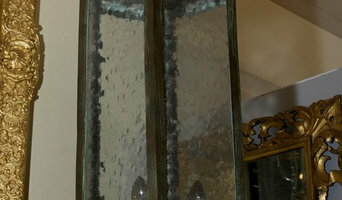 We are a full service lighting company offering the highest quality in antique lighting restoration around. We offer the best in antique lighting installation, providing the care and precision needed to make every room shine with brilliance. 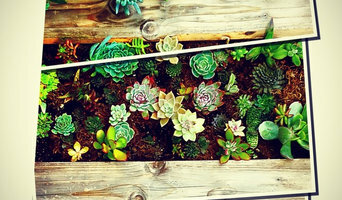 An Eco-friendly and conscious landscape design services with a focus on sustainability an sustainable business practices, processes, and products. Provider of superb customer service and after sales maintenance. Universal Electrical Supply Co. is a local Bay Area electrical distributor that has been serving its residence for 20+ years. We strive to maintain our services and products. LAMP SHADES SAN FRANCISCO offers a large selection of stylish lamp shades including Drum, Coolie, Cylinder, and Empire styles. Visit our San Francisco showroom to choose from our collection of ready-made shades in the finest silks, linens, and papers. We also carry a full array of lamp hardware: harps, finials, risers, and clip conversions. dogfork lamp arts owner, Michael Donnelly has been in the antiques business for over two decades. dogfork was born out of Mike’s passion and talent for restoring, rewiring and reinventing lighting fixtures. He has assembled a talented ensemble of craftsmen and designers who are committed to top shelf quality and unparalled customer service. dogfork also specializes in fabrication and design for both residential and commercial projects, large and small. dogfork’s reputation has grown substantially over the past 10 years primarily due to referrals from satisfied clients. Mike and dogfork have been featured in San Francisco Magazine, Daily Candy, Martha Stewart Weddings, Sunset Magazine and Dwell Magazine. In addition to handling the lighting needs of the retail customer, the dogfork team partners with many well known design firms in the Bay Area, as well as commercial contractors, architects and electrical firms. Please drop by the dogfork shop/showroom to see an ever-changing selection of fixtures, lamps and one-of-a-kind dogfork designs! The emberlight Socket turns any light into a smart light. The plug and play adaptor installs in less than a minute, connecting to your home WiFi. Once installed, you can control, program and automate your lights from anywhere in the world using the emberlight iOS or Android app. Features include on/off, dim, grouping, presets and integration with the rest of the home automation ecosystem (Amazon Alexa, Nest, IFTTT). The emberlight socket turns any light into a smart light. Artistic Lighting & Electric is the modern evolution of a family business that began with founder Merlin Johnson in 1969. Headed today by his eldest son, Duane Johnson, our company works hard to retain its fine reputation as one of the Bay Area’s best full-service lighting and electrical contracting firms, dedicated to the highest standards of professionalism, installation quality and lighting artistry. After many years of continuous innovation, Artistic Lighting & Electric has designed and installed lighting and electrical systems in an impressive variety of residential homes and commercial environments. Always moving forward to match the pace of architectural evolution, Artistic Lighting & Electric is focused on seamless, total solutions, which integrate systems with components featuring the latest technologies, in order to meet the complexities of today’s requirements. Our Founder, Brett Bryant, started working in his family's lighting store in 1987 as a way to learn the family business. After earning a degree in Economics from Columbia University in 1997 and a brief stint in advertising, Brett started up what he called a Lighting Handyman Service. Since then, by word of mouth alone, the phones have never stopped ringing. Lights Out was started in 2003 and incorporated in 2006. Brett found that working with homeowners and designers was the creative outlet that he needed. Going into people's home and making them better was hard work but truly rewarding. Lights Out Inc. has satisfied customers all over the Bay Area, from Napa to San Jose to Brentwood. CLAXY lighting is professional on vintage simplicity lighting, including pendant lights, wall sconces, chandeliers and ceiling lights. We are committed to providing each customer high quality products with lowest factory price, and the highest standard of customer service. Designer, manufacturer, retail shop specializing in custom handcrafted luxury Moorish lighting fixtures including Modern Moroccan lamps, rustic Mediterranean garden lantern, antique bronze Spanish bathroom wall sconces, Middle eastern chandelier, Arabic tea lights, ethnic outdoor lights, Moorish filigree brass ceiling lights, Moroccan kitchen pendant , decorative patio porch lights. Whether you are building, designing or decorating your residential home, hospitality hotel, Mediterranean restaurant, luxury resorts, Moroccan hammam Spa, Moroccan majlis, private yacht, commercial building or restoring a Spanish colonial revival historic building, we will help you achieve your Moorish decorating and Moroccan style architectural design dreams. We worked in several luxury villa, hospitality hotel projects worldwide including USA, Canada, Mexico, Dubai, Abu Dhabi, Al ain, Ras Al Khaimah, Ajman, Jebel Ali, UAE, Jeddah, Riyadh, Saudi Arabia, Doha Qatar, Kuwait, Al Manamah Bahrain, Jordan, Oman, Egypt, Marshall Islands, Bahamas, Caribbean, Maldives, UK, Russia, Hong Kong, china, Taiwan, Malaysia, Korea, Japan, Mauritius and much more. Our business specializes in the intelligent management of both small and large-scale commercial and industrial energy projects—specifically, we engineer and implement energy-efficient, commercial LED lighting solutions designed to help our customers cut costs, lower power consumption, and reduce their environmental footprint.